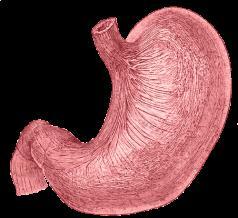 Stomach cancer is a malignant tumor of this organ and it occurs in several pathohistological types. Many times stomach cancer is acquired due to genetic predisposition. In majority of cases patients develop adenocarcinoma of the stomach, while lymphoma, stromal stomach cancer, carcinoid, metastases of other tumors, adenosquamous/squamous carcinoma and miscellaneous carcinoma only affect small number of patients. Unfortunately, scientists have not managed to identify the actual cause of stomach cancer. However, there are several factors confirmed to cause this type of malignant tumor. Some studies have brought in connection infection of the stomach lining caused by Helicobacter pylori and stomach cancer. Namely, the bacterium leads to formation of peptic ulcers and in some cases such lesions may further progress into stomach cancer. Long-term inflammation of the stomach mucous membrane (which typically affects people suffering from pernicious anemia) is another factor associated with stomach cancer. Furthermore, this type of cancer is closely related to cigarette smoking as well as poor diet and may be sometimes a consequence of obesity due to improper diet and lack of exercise. Having a family member who is suffering from stomach cancer increases the risk of developing this cancer. And finally, some people develop stomach cancer in spite of absence of obvious risk factors. There are IV stages of stomach cancer and the disease is classified according to several factors. Stage III B, III C and IV are considered stages of advanced disease and stage IV is actually the terminal stage of this malignant disease. Stage III B is characterized by the growth of the tumor outside the stomach lining. The tumor penetrates through all the layers of the stomach wall and affects regional lymph nodes as well as surrounding tissues. This stage is not terminal but requires prompt treatment in order to prevent further progression of the disease and quick lethal outcome. Stage III C includes spread of the tumor to nearby organs and regional lymph nodes. For example, tumor cells can be found in the pancreas, intestine and liver. Even though the tumor has affected abdominal organs, it has not yet spread to distant organs and organs systems in the body. And finally, stage IV is the terminal stage of stomach cancer. It involves uncontrollable growth of the tumor and its metastases. The tumor may affect many different organs and even spread to distant ones such as the brain, lungs or bones. In women stomach cancer has tendency to spread to the ovaries. The very presence of the tumor, its location and size determine symptoms and signs patients are forced to deal with. This stage is practically incurable and all doctors can do is to provide with appropriate symptomatic treatment such as pain management, feeding assistance and similar.